Friends of the late Howard and Shirley Markus are honoring the couple’s contributions to Louisville. The MARTH Group (Marie and Ron Abrams, Marcia and Bruce Roth, Maura and Jerry Temes and Carol and Mickey Heideman) are recognizing the Markuses with a plaque at Jewish Family & Career Services where both served as president of the board of directors. But the couple’s leadership and community involvement went far beyond the JFCS. Howard Markus passed away in June; Shirley, in 2012. Originally from Cleveland, Howard opened a franchise of Management Recruitment International here in 1967. After he joined the JVS board, his involvement in the community took off. He became the first president of the merged Jewish Family and Vocational Service from 1978 to 1980, providing valuable input into the challenges of merging two agencies with different focus areas and cultures. He helped to create the foundation of the JFCS. Howard also served on the Jewish Federation board and chaired the board of Jewish Hospital from 1988 to 1991. 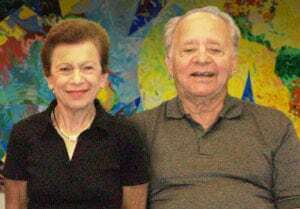 Following the couple’s move to Sarasota, Florida, he became the president of the board of the Sarasota Jewish Federation in 2001. A Louisville native, Shirley led the preparatory math department at the University of Louisville, where she tutored many students who were deficient in the subject. But she also took an active role in the Jewish community, becoming president of the board of JFVS from 1983-86, ushering in a period of growth in the agency’s programming. She also chaired committee at The Temple and became a museum docent in Sarasota when she moved there with Howard. The couple exemplified leadership during their time here, mentoring young leaders including Peter Resnik, the current JFCS president. They opened their home at holidays to newcomers to Louisville. Howard participated in the Oral History project at JFCS, showing his, and Shirley’s, commitment to community.